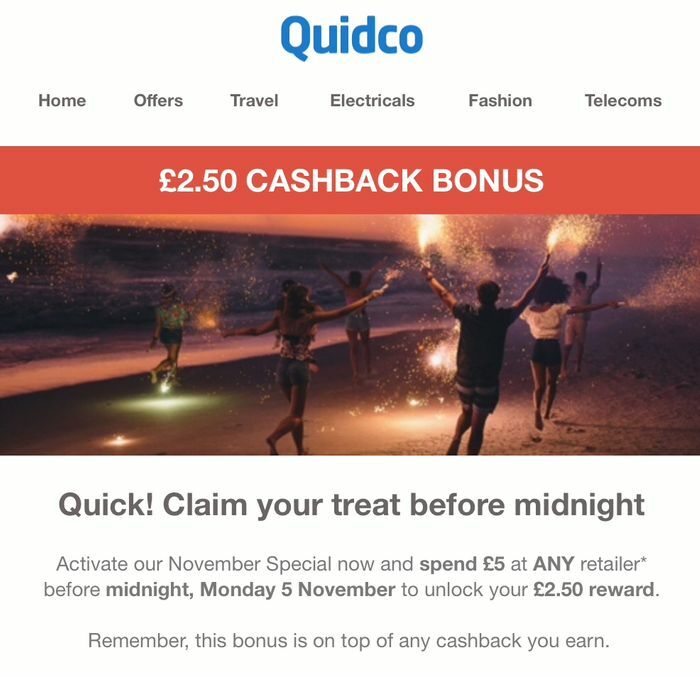 Buy at any retailer through Quidco and spend £5, get £2.50 cashback on top of the normal amount. I always add a pound or two just in case they don’t count VAT. Be quick! Ends midnight tonight. What do you think of this Quidco deal? This is the start of the Black Friday countdown so worth keeping an eye on Quidco. And do the comp too. Thanks for the heads up of this one i always forget quidco. Don’t forget that you need to activate the offer first.